You'll also find that some of the best Florida Keys dive sites are in the Key West area. It's easy to spend leisurely days diving or Florida Keys snorkeling spectacular dives sites such as Looe Key and Sambo Reefs. 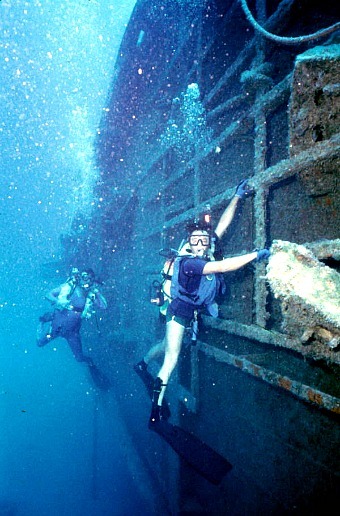 However, if you prefer Key West wreck diving, you can spend days just exploring the massive USS Vandenberg artificial reef. If you have technical certification, Key West also offers some of the deeper diving in the area. You can explore the Fred T. Berry at a chilly depth of 370 feet. If you're qualified, you can go deeper and explore the USS R-12 at her grave site depth of an icy 600 feet. The best part about scuba diving Key West Florida is that it doesn't seem to matter where you go. Whether you're on the Atlantic side or the Gulf side, in Big Pine Key or Key West, the Marquesas or the Dry Tortugas, you'll find that Florida Keys dive sites are plentiful and varied. You'll find there's something for everyone, whether you're a novice or the most technically advanced. However, you'll also find that scuba diving Key West Florida vacations are more fun if you go with a Key West dive shop. Not only are they familiar with the dive sites, they know what safety precautions to take. You'll also find that the Key West dive charters offer a number of services and amenities, some uniform, some uniquely specific. 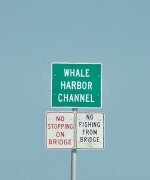 Some Key West dive charters are more instructional oriented, others have certain Florida Keys dive sites they favor. Others offer liveaboard service, even allowing you to go where the wind blows and the heart yearns. It all comes down to finding the right Key West dive shop for you. The following directory will help you find the one that best matches your needs. For your convenience, I've listed the Lower Keys and Key West dive charter companies by region from north to south, and then alphabetically by area. When scuba diving Key West Florida, you'll quickly discover one universal problem. So many wrecks, so many reefs, and so little time. Your next biggest challenge will be to decide which Florida Keys dive site was your favorite. Perhaps even harder than that will be deciding which Key West dive you'll visit next, when you plan another fantastic vacation in the Florida Keys.